You can help us archive the greatest fishing stories ever told! Do you have an angler in your life who tells the best stories? Do you miss talking with anglers who are no longer with us? Maybe you have your own legacy to leave, for your kids and grandkids. As anglers we invest in what we value. The fishing community can help keep the Fish Stories Archive going for many years by becoming True Fans. True fans believe that every fish story deserves to be told and want to make sure they are preserved for future generations. They are not doing this for the swag, recognition, or because they love to fish, they are doing it because it’s the right thing to do. True fans have stories to tell, or know those who do. Become a true fan yourself, or give the gift of True Fandom to a fishing enthusiast that you love. As your support for our organization continues, the swag and benefits you receive will only get better. 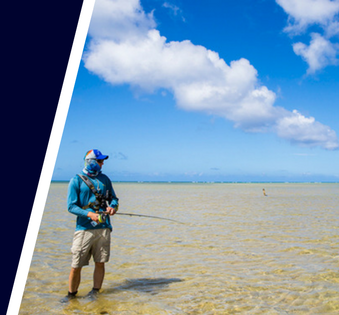 Thanks for being a part of our growing community, and thanks for making sure all fishing stories have a place to be told for generations to come! Warm feel-good feeling for helping anglers preserve their stories and voices. This one is really priceless if you think about it.